Now in High Definition, all 109 action-packed episodes, 35 hours of crime fighting! 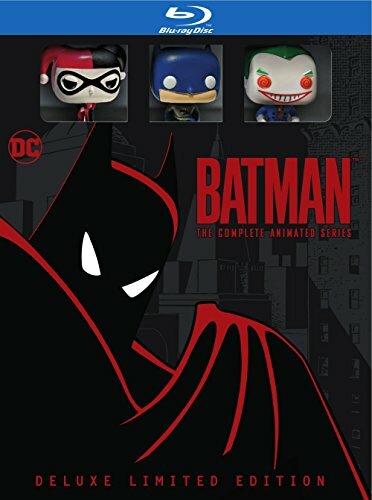 The critically acclaimed, Emmy-winning series, that redefined the complex super hero to the Dark Knight that fans love today is now available in a Deluxe Limited Edition Blu-ray set! Also includes collectible Batman, Joker and Harley Quinn Funko Pocket POPS, 7 EXCLUSIVE Lenticular Collector Cards of Original Animation Artwork, plus 2 Bonus Discs of Animated Films Batman: Mask of the Phantasm and Batman & Mr. Freeze: SubZero!